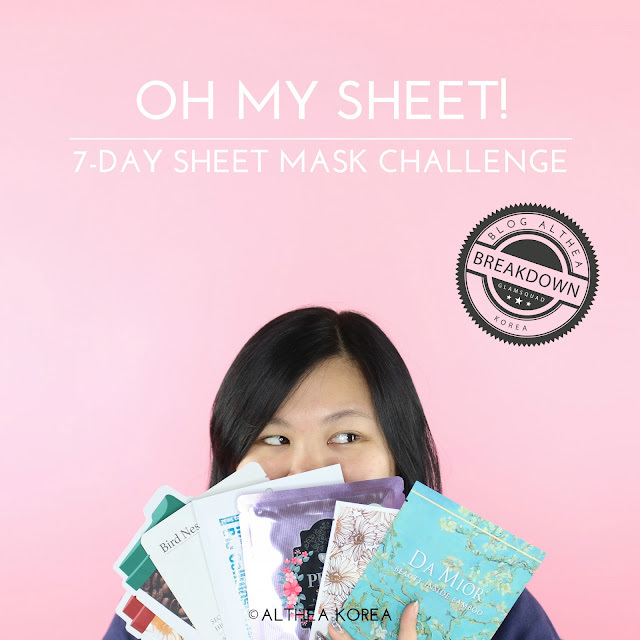 It's no surprise that we love sheet masks here at Althealand! These little packs of wonder are not only packed with hydration (the cornerstone of K-beauty), but also with nourishing ingredients to suit just about any skin concern you might have. 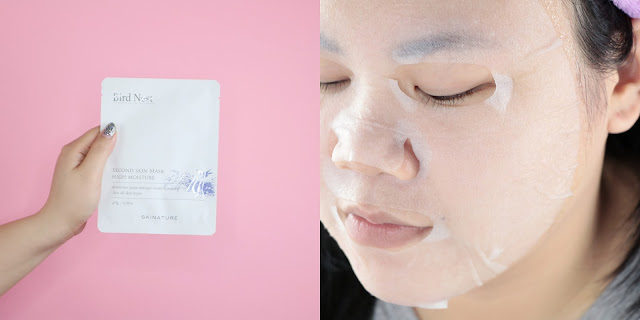 Pampering the skin is a great way to both relax and treat your skin, and there's no feeling quite like kicking back, chilling and soaking up a sheet mask at the same time. 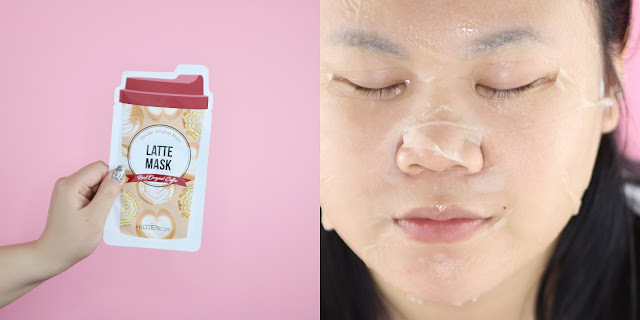 However, as good as sheet masks may be, your skin might not really feel and see the goodness if you're not consistent with them. So we've decided to conduct a little experiement to see what would happen if we sheet masked everyday for an entire week. 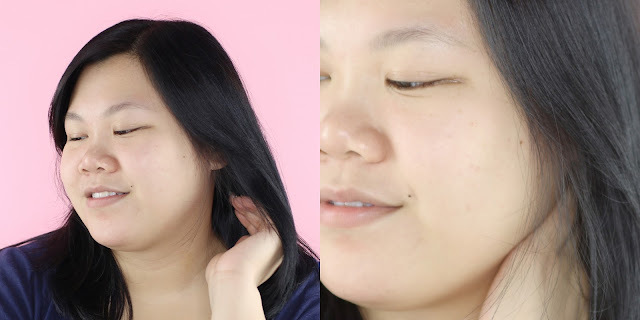 As Althea's official Mermaid, I volunteered as tribute for this experiment (duh), and I'm really excited to see how my skin fares at the end of the week! My skin type is dry/combination, sensitive. Here's a before of what my skin looked like pre-masking. It's looking a little dry in spots, sad and not as lively as it should be, but overall, it's not in super bad condition. Alright, looks like we're ready to start! Coconut water isn't just delicious and good for your body, it's also fantastic for your complexion! This mask uses coconut water extracts as its star ingredient and features a unique bio cellulose mask that adheres to the skin almost like a second skin. Its unique material helps the hydration to penetrate into the skin and prevent premature evaporation. Thoughts: The texture of this was definitely the most interesting part, and my skin felt nice and plump by the time it was done. This mask is soaked in a thick, almost gel like essence that dries down a bit sticky, but that's nothing some rinsing and patting can't solve. My skin felt really nice after: hydrated, plump and it was almost glowing. If you have really dry skin, you'll definitely love how moisturized your skin feels after. If you're like me and you can't function without coffee in the morning, consider this for a perk-me-up instead! Containing extracts from real Arabica beans, this mask hydrates and brightens the skin thanks to adonesine and niaciamide. Just make sure you aren't tempted to drink it! Thoughts: This mask smelled AMAZING and the essence itself was almost creamy, like a milky coffee. While relatively thin, the essence does take quite a bit of patting to ensure that everything is absorbed into the skin. My complexion looked brighter and felt nice and moisturized after. Live the luxurious life with this royal mask! Bird's nest was once only offered to royalty, and was known for its collagen and anti-aging properties. This mask features that as their star ingredient, and when combined with shea butter, allantoin and scutellaria extracts, works to deeply moisturize the layers of the skin for a plumper, more youthful complexion. Thoughts: The material of the sheet feels really nice and luxurious, and it didn't dry up quickly eventhough it was pretty thin. The essence itself was a thicker one, and felt slightly tacky once dried. 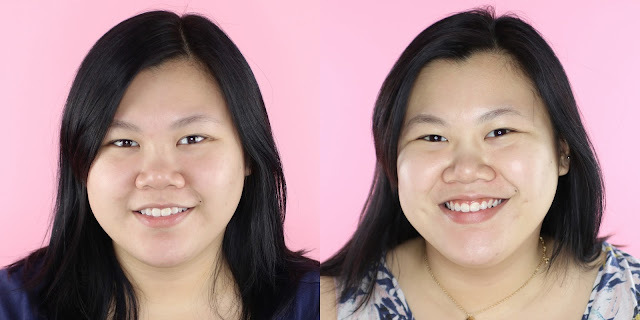 My skin looked visibly smoother and more hydrated after it was done, and after 3 days of consecutive masking, my skin was kept nice and moisturized for a longer period of time. Another one from Hiddencos' coffee range, the Americano mask is made for those of us with dry skin spells. 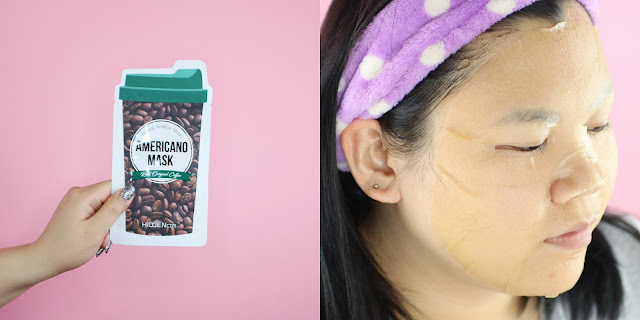 Formulated to moisturize and nourish, this mask is also made with Arabica coffee extracts, while green tea and portulaca plant extracts soothe and hydrate dull, fatigued skin. Thoughts: Similar to the Latte mask, the scent of this mask is also pretty delicious. However, like coffee without milk, this essence was less creamy and felt more hydrating on the skin. It absorbed in a bit easier than the latte mask, and I think I prefer this over the Latte one. Going green is always a good idea, especially when it comes to your skincare. 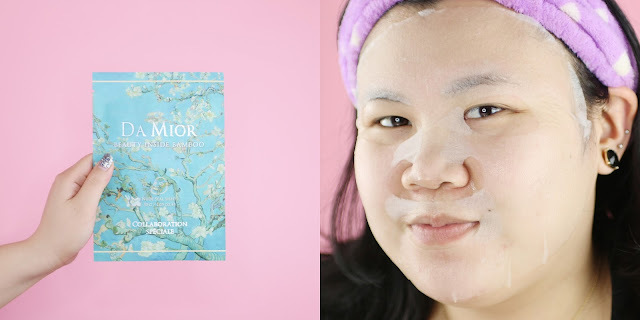 This mask from Da Mior utilizes bamboo, cedar wood, thuja and allatoin extracts to pamper the skin. Plus, it comes with a super pretty design featuring Van Gogh's Almond Blossoms painting design on the packaging! Thoughts: This was was SUPER juicy and had lots of essence in it, so you're definitely getting a bang for your buck. With a gel-like essence, this absorbed easily into the skin and didn't feel sticky once patted in. At the end of it my skin was soft and supple to the touch, and it looked like it helped to even out the appearance of my pores too. Known as the "queen of calm" among flowers, Calendula is great for calming redness and irritations. This pampering mask uses that to its advantage, giving the skin some nourishment, moisture and intensive repair for a healthy, radiant complexion. 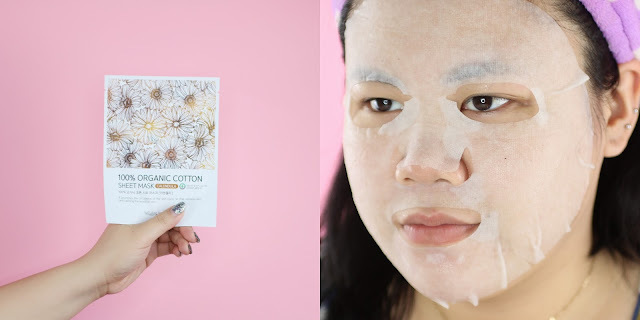 Thoughts: I love that you can actually see the cotton seeds in the sheet mask itself, so you can tell it's really 100% cotton! The essence had more of an "organic" smell to it, so it's great for those who aren't fans of synthetic fragrances. It was also thinner and more easily absorbed into the skin, and didn't feel tacky at all once absorbed in. If you're looking for a moisture bomb, here it is! 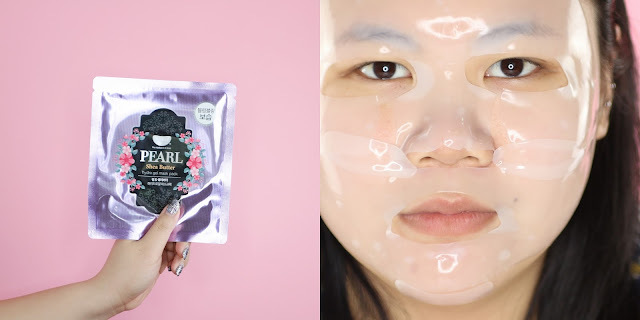 This hydrogel mask contains up to 90% of moisture, and shea butter is its star ingredient: a rich moisturizing component to really beat the dryness. You'll be left refreshed and feeling revived. Thoughts: This one is a favorite of ours at Althealand, and actually comes in a gold and pink version as well. I love how easy to use this mask is, and how little of a mess it creates. There's no sticky, dripping essences that need to be dealt with, and it feels cooling and gentle on the skin. My skin looked and felt calmer, more hydrated when it was done. 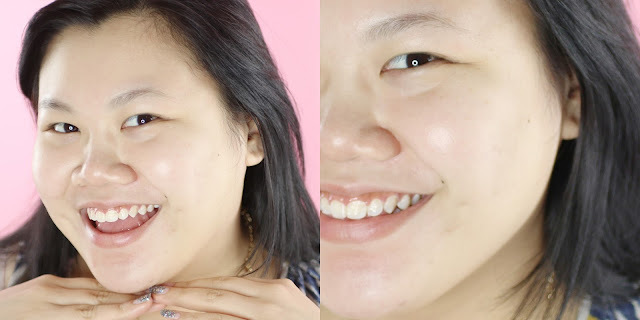 At the end of the week, it was clear that my skin had taken a turn for the better, and K-Beauty's philosphy about hydration equating to good skin. After the experiment, my complexion felt more even, looked brighter and was properly hydrated. Aside from the physical benefits to the skin, it felt great mentally too. There was something relaxing about taking some time off everyday to just pamper or refresh yourself. 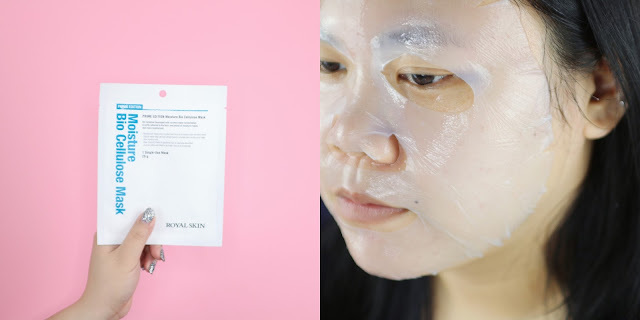 Using a sheet mask might sound excessive to some, but everyone should try this out for yourself at least once to really see how your skin can improve with just this one extra step (your skin'll thank you in the end!). All the products mentioned above and other masks for your browsing pleasure can be found on Althea's site. Would you try this experiement out for yourselves? What's your favorite sheet mask? What other challenges or experiments would you like us to try out? Let us know in the comments down below! The Latte and Americano masks look great, but I don't like sticky essence very much. The one from Petitfée looks great! I can almost feel it on my skin just by looking at your picture!